The Olympics tickets resale site will be back online today after being down for 11 days, LOCOG the Olympics organising body has said. LOCOG suspended the resale site just hours after it opened on Friday 6 January, as hundreds-of-thousands of people logged on to purchase unwanted tickets. 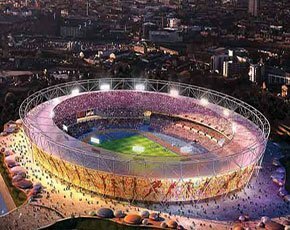 “At one stage we had 250,000 people chasing just a couple of tickets, which caused issues around notification,” said a LOCOG spokesman. The resale platform on the London 2012 ticketing website will re-open to ticketholders who want to sell their tickets from 3pm January 17. Ticketmaster, which runs the resale the site on behalf of LOCOG, said it was unable to comment as to why the problem took 11 days to locate and fix.